It’s a black Karoo night and a young woman, covered in blood, is running along a deserted dirt track. A terrible thing has happened and the woman, Siena, has to reach Seekoegat Primary School at the end of the track, the only place she knows that is safe. It’s a long way to run, a three-day ride on a donkey cart. This is the story of Siena, Boetie and Kriekie, whose lives intersect as children and who meet again as adults: Boetie is a boy running wild. Deprived and neglected he is always up to mischief but his friendship with Siena gives him self-worth. Kriekie is a basket case. As the child of a prostitute working the truck-stops along the n1 he has no home. When his mother, Dolly, doesn’t come back, a small act of kindness by a woman running a shop at the truck-stop sees him end up at Seekoegat Primary. Plodding steadily through each chapter is the spectre of the ancient Karoo tortoise. Siena’s father, Pa, a karretjiemens, reveres the tortoise as a creature that holds within it the wisdom of the ancient landscape and that cries only one tear when it dies. 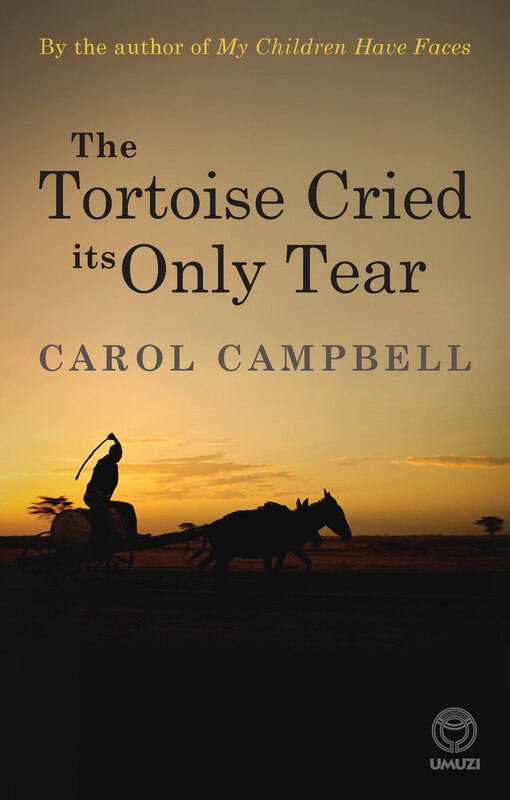 The Tortoise Cried Its Only Tear is award-winning author Carol Campbell’s third book on the Karoo. Like her previous work this story is a piece of social realism but, for the first time, Campbell introduces hints of magical realism – which is very much in keeping with the world view of the people she writes about. Ook in Afrikaans beskikbaar as Die skilpad se laaste traan . Author of the highly acclaimed novels My Children Have Faces and Esther’s House, Carol Campbell is a journalist who has worked for the Argus, the Cape Times and the Mercury. She currently lives in Durban with her family.